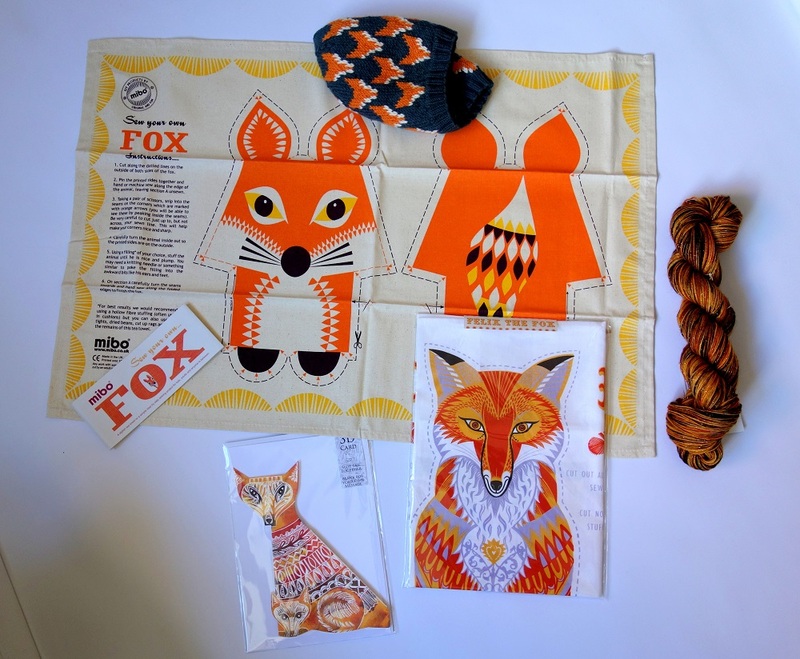 norwegian folk art | A creative life tangled up in lovely yarn! There are so many things that inspiring to us we never really know what triggers it and where we are going to find it. I love that about being creative; you never know what will spark off the next design! I have put together some of my things to see if, arranged in a different way, they can get me going. 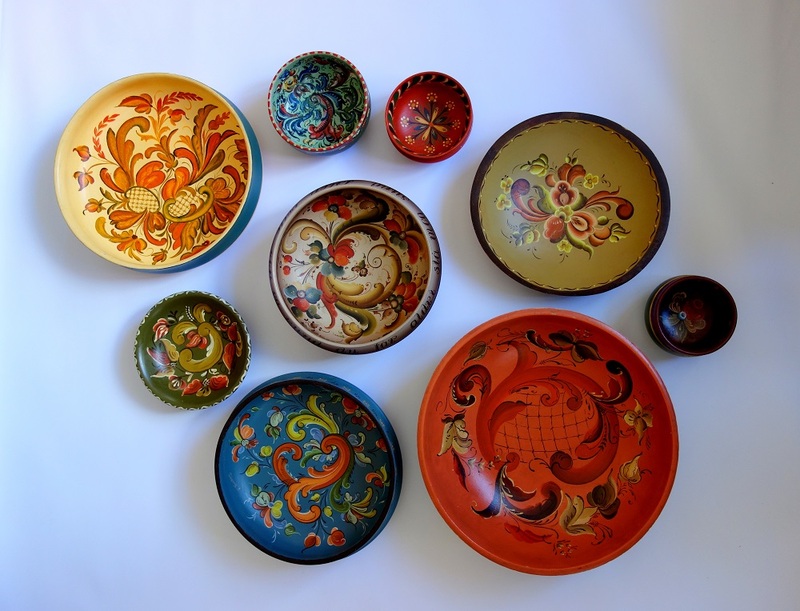 I collect Norwegian folk art painted bowls. I find them at charity shops and flee markets. They are so handy to have for bread, fruits and snacks. Today I got them out and had a better look at them. There are some shades of colours that are common for the Norwegian folk art, and I tend to find them a bit heavy. However there are some interesting colour combinations to be spotted in the intricate patterns. 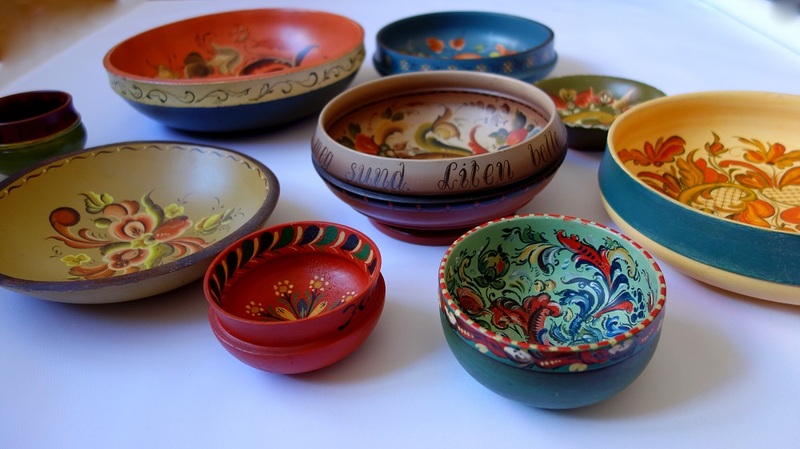 I love the bowls for their history and the labor of love that has gone into making them. Mine are mainly post WW2 and therefor super affordable. If they date before the war they are found in antique stores and not flee markets. I think the post war ones deserve to be valued too. 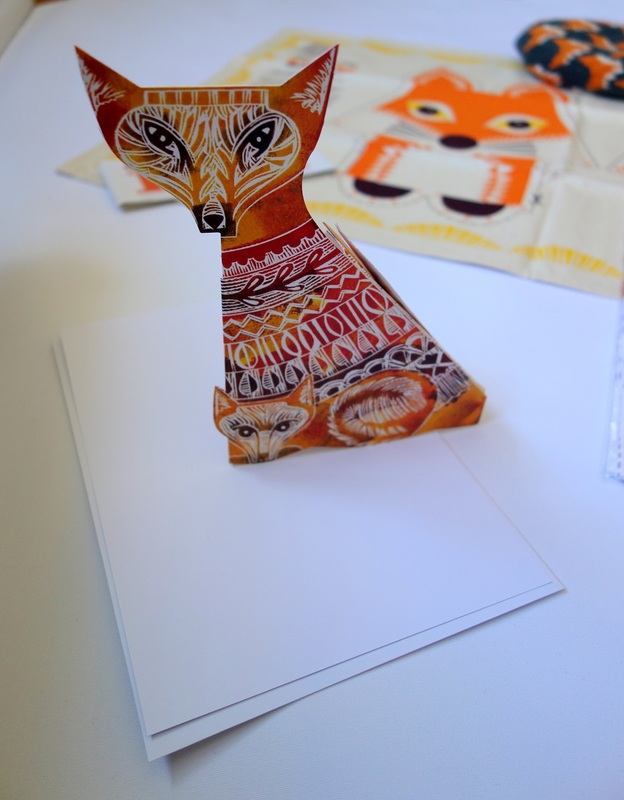 The unfolded tea towel is by Mibo, and the folded up one is by Sarah Young. Looking at the card by Judy Lumley I just marvel at the creativity she displays. 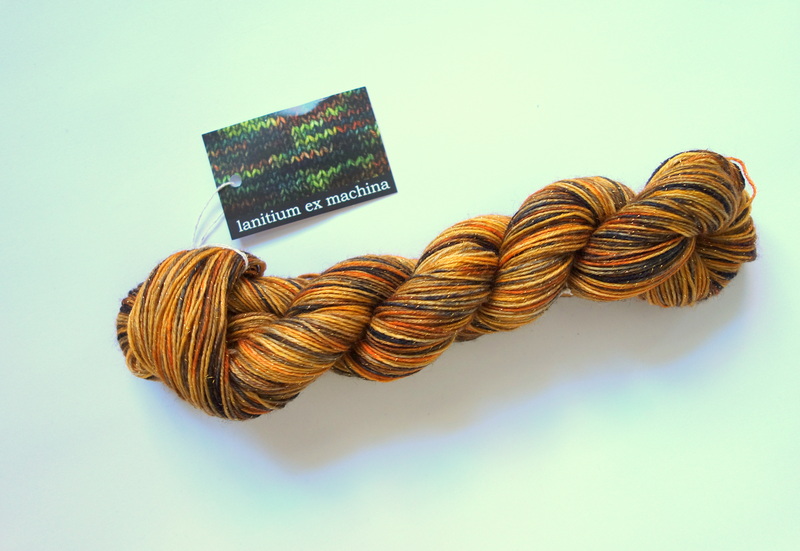 The yarn I tucked into the photo is some hand dyed yarn I got on Etsy from Lanitium Ex Machina. I didn’t think about foxes when I got it, but it was laying around when I unpacked by fox finds form England and what a match! It’s time to get back to my drawing pad and pencils. I do feel a bit more inspired so hopefully some great new hand knit designs will follow.